Raw Nature deodorants have no worrisome chemicals or toxic ingredients. 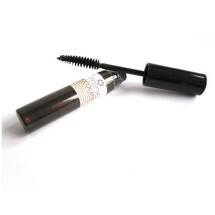 They are free from aluminium, parabens, phthalates, sulfates and plastic. Stay naturally fresh and odour free all day with confidence. A natural deodorant stick that helps you stay fresh naturally all day. We use coconut oil as it is a powerful moisturiser with antifungal benefits. Tapioca starch absorbs moisture and baking soda neutralises odour which is essential for keeping a healthy underarm environment. This scent contains pure spearmint essential oil which disinfects the skin, pure peppermint essential oil helps with bacteria and pure manuka essential oil for its strong antibacterial properties which produces strong minty fresh scent. A strong long lasting deodorant that also has a cooling effect in the armpits which is great for those that workout or are heavy sweaters. If you have sensitive skin you may want to avoid this one. 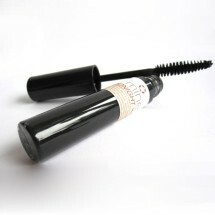 NO aluminium, sulfates, parabens, phthalates, SLS or plastic packaging. Directions: Gently push up the deodorant from the bottom of the tube to expose about 1cm of product. Apply 1-2 swipes to a clean, odour free underarm. Best applied in the morning after a shower. Works really well if applied every day. 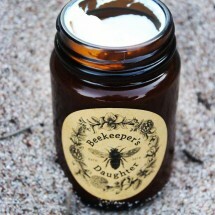 Ingredients: NZ Beeswax, coconut oil, baking soda, organic tapioca starch, spearmint, peppermint & manuka essential oils. (That's it! - 0% Nasties). 50g. Lasts about 4-6 weeks. If irritation occurs discontinue use and contact us. This has been a fantastic natural deo! Beautiful fresh smell and works really well. No skin reactions at all. Will be buying again! Smells minty & fresh - great to use - all cardboard packaging. Please choose carefully as unfortunately this product is not eligible for our No Worries Return due to being a personal hygiene item. . Please refer to our Returns and Refunds Policy for further information. Organic coconut oil, organic tapioca starch. 100% natural ingredients, 0% Nasties - that's all! 50c from each stick sold goes to the Sustainable Coastlines Charity, a NZ charity protecting our seas, coastlines and wildlife.